The VRFPro.com portal is simply your one-stop shop: It provides all the documents, software, and time-saving tools your team needs to sell, select, order, and install Hitachi SmartFlex™ VRF systems. The Hitachi SmartFlex™ Selection Tool intuitively guides you step-by-step through equipment selection, so you can quickly and confidently choose the most appropriate and cost-effective package – right-sized and complete for each project. In addition, when accessed with our Unitary Sales Tool (UST), it automatically generates full submittals and completes your job with itemized pricing. The integrated tools streamline the process with no need to open and re-enter data into a second program or spreadsheet. VRFPro.com offers a complete documentation library including: product catalog, product brochures, product manuals, accessory selection guides, drawings, installation instructions, user manuals, submittal data sheets, repair parts lists, wiring diagrams, warranty information and more, all downloadable. VRFPro.com is a suite of integrated software components including tools for designing the VRF systems, pricing, creating the bill of materials, and ordering mdash; a streamlined process built to save you valuable time and money. The Selection Tool offers a System Sizing Analysis which starts with the indoor fan coil units so that outdoor units are optimally sized. Proprietary algorithms figure the system size using data input on the indoor units, load and measurements, so your system does not include surplus capacity. A quick, step-by-step process lets you create accurate drawings with piping and wiring diagrams. You can select options and accessories without consulting other information sources or performing additional calculations. As equipment is selected, our pricing system, UST, generates pricing, which you can adjust to reflect the desired margin for the project. The system also generates a complete bill of materials with itemized pricing and a complete quotation submittal package with the drawings and product information. When it’s time to place the order, you can send the bill of materials directly to the ordering system. All Hitachi SmartFlex™ VRF units, accessories and parts are stocked and ship from a single warehouse strategically located in Southaven, Mississippi, just outside Memphis, Tennessee. This central location, where FedEx and UPS have major hubs, allows most complete system shipments to arrive within two to three days. The warehouse management system receives orders electronically; orders are shipped complete and arrive within two to three days – there’s no waiting to assemble partial orders shipped from multiple sites. Real-time shipment status reports are available. Our carriers are trained to load and handle equipment so that it arrives at the job site on-time, and without damage. Parts ship second-day air with no shipping charge. 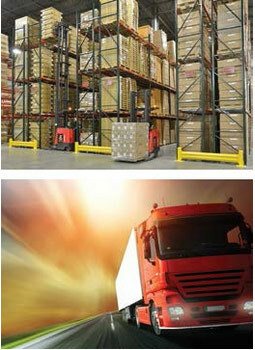 Ample inventory and advanced order management and logistics systems help you complete installations on schedule. Consistent service and predictable deliveries prevent delays waiting for essential components, so you can set project timelines and schedule labor efficiently. 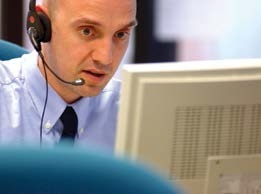 Our Hitachi SmartFlex™ call center uses advanced tools to help representatives connect you with the expertise needed to resolve your issue quickly. Staff members include both customer service specialists and technical service representatives. When you call, our representative immediately sees your call history – past issues, any open tickets, and the staff member that has helped you on previous calls. We’re equipped to handle a wide range of issues, from questions about shipments, to installation, to troubleshooting for indoor or outdoor units. For complex issues, our call center team can reach out to a variety of subject matter experts or, if necessary, dispatch a technician to your site.